I have always been a huge fan of Chartreuse, both in their Green and Yellow varieties. It wasn’t until I went to RN74 in San Francisco that I actually got to sip on some Green Chartreuse V.E.P. Chartreuse is one of those liqueurs that has always intrigued and mesmerized me. It’s one of those spirits that is gaining in popularity as a mixer and neat. I figured, why not dive into it a bit more and hell, drink some knowledge down? 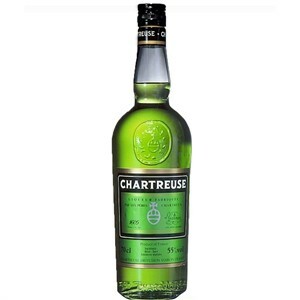 A little background on Chartreuse is that it’s a liqueur made by French Carthusian monks. The recipe is based off an ancient manuscript from 1605 for French Royalty to promote long life. It wasn’t officially called Chartreuse until the 1740’s. It was originally made as a medicine (as most spirits have been in history). This holy-spirit is made in the Grande Chartreuse monastery in the Chartreuse Mountains. It’s made from a distilled alcohol and around 130 or more herbs, spices, roots and barks. It’s stored underground in the world’s largest liqueur cellar to mature. The recipe has always been a well kept secret and supposedly only 2 monks at a time are allowed to know the specifics on distilling it. These monks are Dom Benoit and Brother Jean-Jacques. 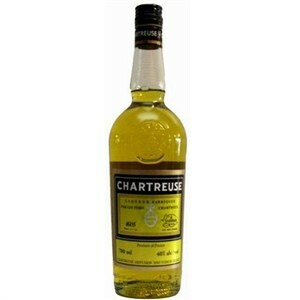 Chartreuse can be found at most bars and liquor stores. These are just a few of the different styles that are available. Green Chartreuse: It’s 110 proof (55% ABV) made with 132 herbal extracts and is very dark green in color. The color is actually from chlorophyll which is found in plants to give it its green color. This Chartreuse is very aromatic and has a strong herbal nose. You can really pick up some vegetal notes and the flora that has been used in the distillation. It balances very in classic cocktails especially the Last Word. Yellow Chartreuse: Originally made in 1838, this Chartreuse is 80 proof (40% ABV) and is more sweet and mild in flavor and smell. The light yellow color comes from Saffron that is added into the recipe. 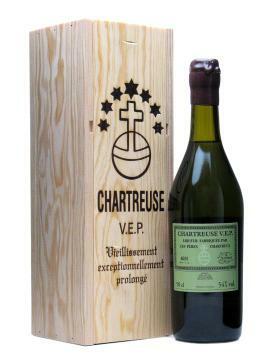 Chartreuse V.E.P. : V.E.P. stands for Vieillissement Exceptionnellement Prolongé. When translated it means “exceptionally prolonged aging”. There are two different styles, Green and Yellow that range from 108 proof (54% ABV) to 84 proof (42% ABV). This exceptional elixir was released to the world in 1963 and is aged in oak casks to smooth and mellow out the beautiful flavors that you can pick up on your nose and palate. It is made from select Green and Yellow Chartreuse that is ready to be bottled and then put back into oak casks. I highly recommend the Green for sipping after dinner.